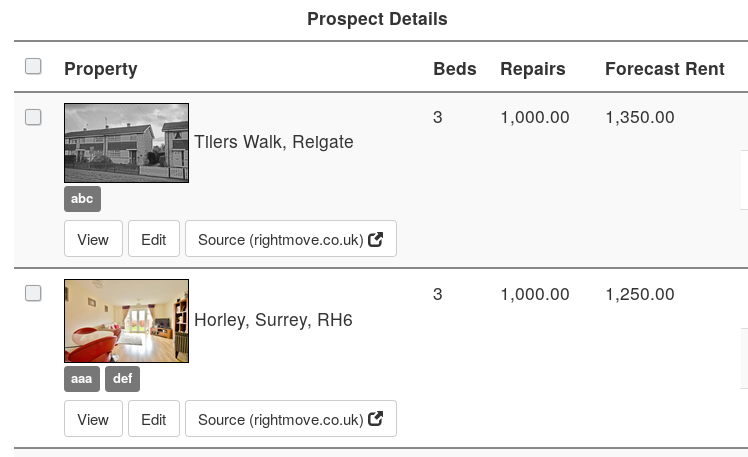 This week we've released an update to the page that shows your Prospect properties. We've tidied up the the area around the property thumbnail, making the buttons clearer and displaying some extra details. The Prospect listing page allows you to easily review all of the properties that you're considering investing in. You can also filter your list of properties by your own tags. Any number of custom tags can be added to each of your Prospect properties. You could use them to group similar properties, or indicate deal types, or perhaps to easily mark the type of renovation work required. You can streamline how you track property investment prospects now, register free and try out PaTMa with three free prospect entries.